Serving as a Sacramento pedestrian injury law firm means that our team is particularly aware that auto accidents are all too common in our car-driven culture. The reality of Sacramento pedestrian fatalities is particularly clear after two separate accidents claimed the lives of young adults in the past week. According to The Sacramento Bee report, the first of these dual tragedies occurred in the early morning hours. At approximately 3:50AM, a twenty-one year old resident of Foster was struck by a car while walking on 113 North in Woodland. The victim was killed in the accident and the driver fled the scene. The California Highway Patrol is looking for witnesses who may have information relating to this fatal hit-and-run. A second crash, also reported by The Bee, claimed an even younger victim. Sixteen year old Michelle Murigi of Sacramento was hit by a car while crossing Fruitridge Road at 58th Avenue. One eastbound vehicle had stopped to allow the teen to cross but a second car continued through the crosswalk and struck the girl. The crash occurred on Thursday afternoon and Murigi was taken to UC Davis Medical Center. She was placed on life support but succumbed to her injuries and passed away on Friday night. The unidentified driver reportedly said that he did not see the pedestrian and the accident remains under investigation. Pedestrian fatalities remain a serious problem, despite many efforts to encourage both safe driving and safe pedestrian behavior. According to a report from the National Highway Administration, 4,092 pedestrians were killed in vehicle-related crashes is 2009. This figure represented a seven percent drop from 2008. Notably, between 2000 and 2009, the percentage of traffic deaths involving pedestrians remained fairly steady with pedestrians representing between eleven and twelve percent of all traffic fatalities. This number increases for the youngest victims with pedestrians accounting for twenty-two percent of traffic victims under age five. Weather does not appear to be a primary factor with eighty-nine percent of the pedestrian deaths in 2009 occurring during normal weather conditions. Time-of-day had a much greater statistical impact and sixty-nine percent of the 2009 deaths occurred during nighttime hours. Nearly three-quarters of the accidents occurred in an urban setting. Alcohol is also a significant factor and nearly half of the 2009 pedestrian fatalities involved either an intoxicated driver or an intoxicated pedestrian. It sounds a bit cliché, but we truly believe that even a single pedestrian death in Sacramento or elsewhere is a death too many. We urge drivers to exercise caution, especially in urban areas where sharing the road is a reality and at night when visibility is an extra challenge. 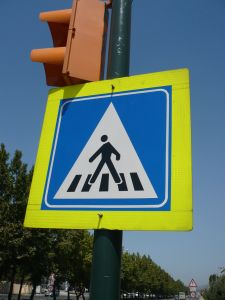 We also urge the families of pedestrian victims to pursue civil litigation after an accident. No amount of money can bring back a lost loved one, but compensation can help survivors pursue help as they grieve and address the economic consequences of the incident. Seeking justice in court also sends a strong message that carelessness will not be tolerated. Our Sacramento wrongful death lawyer is experienced in helping grieving family members navigate the legal system and move forward from tragedy. Please contact us if we can help you and your family in the aftermath of tragedy.